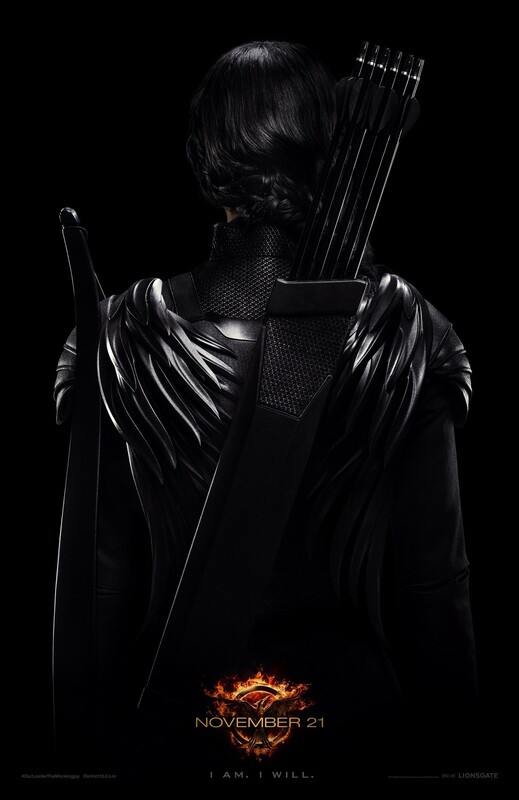 November 23, 2014 November 22, 2014 Dan O.
Bows and arrows are the ultimate weapons for rebellion. Guns are better, but hey, you work with what you’ve got. After the tragic events of the second Hunger Games, Katniss Everdeen (Jennifer Lawrence) is, once again, left in total and complete shock. However, she’s not alone, as she was soon taken in by the rebellious District 13 and given the task to fight back against the malicious Capital, and its evil leader, President Snow (Donald Sutherland). And although Katniss is more than happy to fight back and get whatever revenge she can get on Snow and his legions of soldiers, there’s a couple problems holding her back. For one, District 13’s president, Coin (Julianne Moore), and her trusted lackey, Plutarch (Philip Seymour Hoffman), not only want her to stand high and tall with District 13, but even be seen as the face of the new rebellion that will hopefully inspire many others to stand up against Snow and his regime. Also, after the last Hunger Games, Peeta (Josh Hutcherson) was kidnapped and taken in by the Capitol, who seems to be using him as a way to coax Katniss into just putting down her bows and giving up. Katniss wants to, so as to not hurt Peeta even more, but the problem is that she’s not the one fully in control – others are and it begins to show. It’s safe to say that, by now, the Hunger Games film franchise has been pretty successful. Not just in terms of its box-office success, but also with those pretentious, unhappy human specimens we know as critics. Meaning, that it was only just a matter of time until one of these films, as it only takes one, had to screw it up for the rest. And it’s quite fitting that it just so happens to be the first part of a movie that didn’t need to even have a first part to begin with. Is this a symbolic passing of the torch? Say it ain’t so, J-Moore! Trust me, too, this is coming from a guy who has never read a single page of one of these books; Hollywood thinks that since they have a cash-cow on their hands, that they should try their hardest and pan the movies out for as long as they can, as only a way to reel in more and more dough. 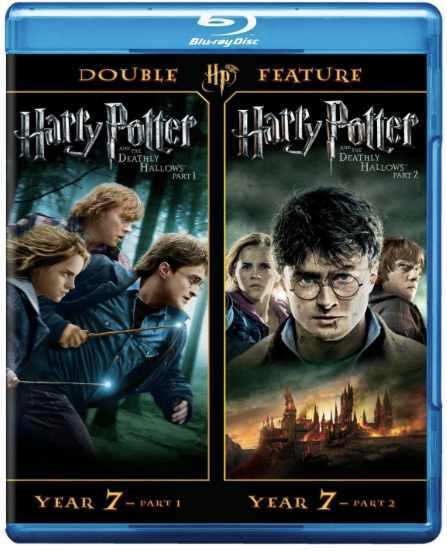 They did it with the Harry Potter franchise, they did with those terrible Twilight movies, and heck, they were even thinking about doing it for the Hobbit movies, that is until somebody actually wised up and realized that it’s probably not the best decision to push that franchise any longer than it needed to be, especially considering that it’s all made from one single book. Just one, people! So why the hell did there need to be three, freakin’ movies at all?!?! Anyway, like I was saying, here with Mockingjay – Part 1, it’s obvious that the powers that be behind it, wanted it to just go on for as long as it could, so long so as it all built-up to what would hopefully be the ultimate finale for this franchise next year, and it shows. That’s not to say all of the movie is bad, but when you have a film that goes on for so long which is, quite frankly, is pretty solid up to a point, and it just ends, it not only feels abrupt, but pretty disappointing. You can tell that, if they really wanted to with these movies, they could have made just one, three-hour epic that would, hopefully, put the bow-tie on the franchise once and for all. But nope, when big-wig, hot-shot Hollywood executives see dollar-signs, they can’t help themselves one bit. Sort of like how I am in Dunkin’ Donuts. Only one, I promise myself, and then, a dozen doughnuts later, I’m wondering just what the hell happened to me and my thought-process. It’s a bad analogy, I know, but it’s all I got to work with, people, so bare with me please. But to get a bit away from the whole problem with this movie being unnecessary in the first place, I think it’s best to just dive right into what made it so good to begin with and, therefore, made the abrupt ending all the more enraging. See, what’s interesting about this flick, is that while it’s clear that it has the biggest budget in the world and can practically do whatever it wants, wherever it wants, and with whomever it wants to, for some reason, Mockingjay – Part 1 has a very limited-scope which, dare I say it, makes it feel almost claustrophobic. Hardly do we ever get to see what’s going on/around the world of Panem and in these other districts, outside of maybe a TV monitor or through of what somebody says. A perfect example of this is a very terrifying sequence in which District 13 gets attacked by the Capitol, leaving everybody inside scrambling, running, and trying to find any shelter that they can. While this is all going on, we hear the explosions hitting District 13 and we see the effect it has on the base from the inside, but we never see what’s exactly going on outside; what we see and hear, are just enough to scare us into an oblivion and have us expecting the worst, but hoping for the best. It’s a well-done sequence that I kept on thinking about the most after I saw the movie, because it pretty much puts the rest of the movie into perspective: We are thrown into this tiny, nearly suffocating world and we can’t get out of it. We’re along for the ride with Katniss, even if that does, or doesn’t take her anywhere special. Speaking of Katniss, once again, Jennifer Lawrence is great in this role and allows Katniss to be strong, smart, and also, humane. She hardly does something for her own self-interest and it makes us sympathize with her a lot more, even if she is playing with both Gale and Peeta’s hearts like a person putting a carrot in front of a rabbit on a treadmill. Still, she’s good to watch and brings a lot of development to a character that could have easily been just another little, whiny teenager who can’t decide if he loves me, or loves me not. I’ll take a nice, little Boogie Nights reunion any day. Another interesting aspect to this story is that it plays around with the ideas of propaganda and how the use of it, if effective, can really drive people to do something, whether it be fighting for a cause, or just changing a certain lifestyle of theirs. Here, we get to see Katniss be constantly taken to all of these different Districts, where everybody is either dead, dying, or just bones underneath pieces of rubble. The way we’re supposed to feel about these tragic occurrences is supposed to be sadness, but because we know Katniss is being taken to these certain spots, only so that they can film her and show the rest of the world why her cause is worth standing behind, puts a slight comedic-twist on it. A dark one, but a comedic-twist nonetheless in a movie which totally needed a lot more. This is where the likes of new recruits Julianne Moore, Natalie Dormer, pleasant returners Jeffrey Wright, Woody Harrelson, Elizabeth Banks, and the late, great Philip Seymour Hoffman all bring their own level of depth to a story that deserves it. It’ll be interesting to see where the next film takes these certain characters, because while it’s easy to fall for Peeta, Katniss, and Gale, the older, much more established presences in these films are mostly what keeps the heart of these movies running. Not to hate on what Lawrence, Hutcherson, or Hemsworth do with their own respective characters, but if I had to, I’d watch a scene containing just Julianne Moore, Philip Seymour Hoffman, Woody Harrelson, and Jeffrey Wright, all sitting around in a room, talking about whatever was on their mind next. Obviously that’s virtually impossible now, but what a treasure it would be. But, like I said, while the ideas and themes this movie toggles around with may be interesting, and a hell of a lot more thought-provoking than we all get with half of the YA adaptations out there, there’s still that feeling that this movie is build-up, and hardly anything more. Director Francis Lawrence gives this movie a tone that’s dark, creepy, and slightly sinister, but the way in how the movie ends, just puts everything into perspective: This is all leading up to something a lot bigger and more epic. See you next year, folks. Let’s hope that this is actually the end. Consensus: Thought-provoking without being ham-fisted, exciting without being manipulative, and well-acted without ever focusing on one character more than the other, the Hunger Games: Mockingjay – Part 1 works for so long, all up until it abruptly ends, leaving us maybe ready for the next, but also disappointed that there had to be two parts in the first place. Basically, everybody loves J-Law. Fin. Boogie Nights reunion – so true! I really don’t like that they ended where they did either. And it’s totally a cash grab. Given that, what they did with the movie still impressed me more than I was expecting to be. Also, I couldn’t agree more that it’s the older part of the cast that truly seems to carry the movie, even with the good performances from the younger ones. Nice review here, Dan. Everybody’s good, but they get somewhat wasted on a movie that just wants money, and that’s it. Totally agree with your closing paragraph, well said Dan! The older part of the cast? So why did Caesar Flickerman played by Stanley Tucci and ms Trinket played by Elizabeth Banks and even Harrelson’s Haymitch have to take such a severe cutting in screen time and importance? One of the best things about HG 1 & 2 were the color and in-your-face as in we’re bold and we’re bad for both Trinket and Flickerman. This time out they were vastly reduced in both color, presence, as well as importance and impact. I think this was a major deficiency. As for Harrelson’s Haymitch – what did he have two scenes for about 5 minutes. Not good at all. Yeah, not good at all. They still add plenty of emotional depth to this, but I wish there was more. Aha no, but it’s okay. Neither am I. Great review. Mockingjay the first loses THG’s most powerful element—color (in visuals and in stories), frankly saying. Tho, I enjoy most of the performance, I must say, we really don’t see many things happen in one movie anyway. Well, perhaps Hollywood should consider finding new strategy to keep the fans coming back without ‘sacrificing’ a chapter like this, frankly saying. It’s getting annoying, but who knows if they’ll ever quit it. Damn, Hollywood! Yeah. First, adapting anything. Second, franchising everything. Now, splitting every finale. I agree with you it is the building up to the grand finale. But It could of been better. I saw it 3 days ago. That is why I didn’t put it on my site. cool review. Thanks! It was a movie that had its benefits, but ultimately, ended lame. 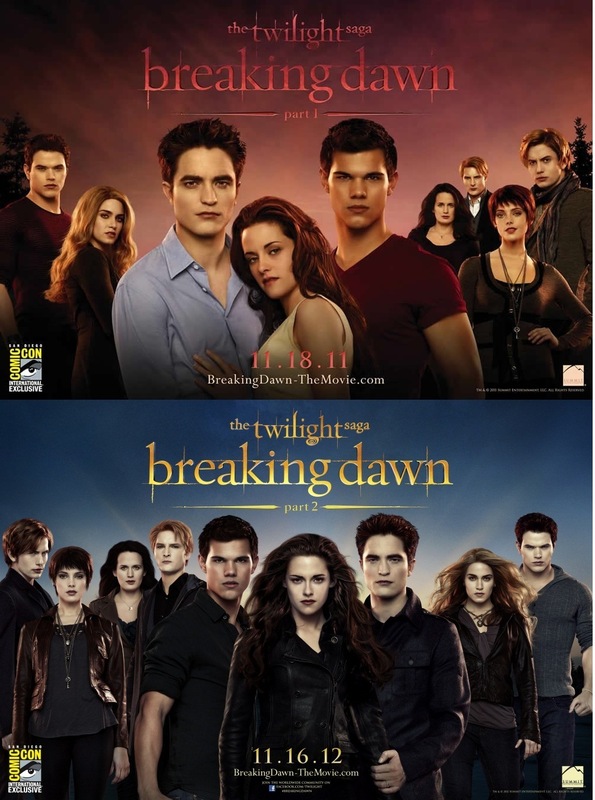 I think the franchise is getting better with each movie and I hope the final one will be the best. 😀 Great review. This one was a step back, but I’ll wait and see what happens next. Did we really need two parts? It appears not. Hoping to catch this at some point in the week but am still looking forward to it. Nice review Dan. Screw Hollywood and their “two movies instead of one” ideas. Awesome review! I enjoyed the movie, but I agree 100% that a 3-hour grand finale would have been better. Lionsgate strictly made this one with $$$ in mind. Thought it was a good movie, but not as good as the other two. I agree, I wish they would have kept it to one movie; this one felt a little too much like a prelude, or an extended trailer for part 2.